When you’re big, you’re attractive to others – and Ripple is learning that the amusing (well, for observers at least) way these days. Ranging from a reported attempt at a hostile takeover of the XRP cryptocurrency (what? ), to a ripoff coin named XRP Classic which has reportedly appeared on some exchanges, the last few days have made a few ripples in the XRP community. A hostile takeover is, traditionally, the acquisition of one target company by another acquirer company that is accomplished by going directly to the company’s shareholders or fighting to replace management to get the acquisition approved. The key here is that the target company does not want to be overtaken, and fights to get the deal thrown out of the window. However, this time, according to a report by Axios, a company named Valor might be trying to overtake the XRP cryptocurrency. Yes, you read it right. Originally launched in late 2017 by Vishal Harpalani, who previously spent three years working with early Ripple investor Flight Ventures, the original plan was to raise USD 160 million through an initial coin offering (ICO) for a new cryptocurrency that would become a widely distributed source of stored value in developing countries, as well as partner with mobile wallets and mobile carriers that do business with the underbanked. 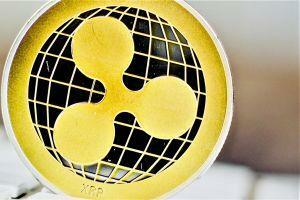 However, this plan had failed as investors just didn’t see the point of it, so Harpalani has reportedly decided that the logical next step in his plan should be a hostile takeover of XRP. According to Axios, Harpalani has confirmed that he’s working on a “hostile takeover of a top-10 cryptocurrency,” but did not name XRP specifically. As for the technicalities behind such an attempt, Valor would try to raise “tens of millions” of USD to short XRP, driving down the price. Then, it would create a “fork” of XRP’s network whereby willing XRP holders (except for Ripple) would receive one Valor token for every XRP token, going on to distribute even more Valor tokens and incentivize users to get rid of the now-devalued XRP. The woes of Ripple, and their XRP coin, hardly end here. A so-called “XRP Classic” coin emerged on December 24th. The Ethereum-based coin, quickly labeled a scam by XRP supporters, even had its own crypto price tracker on CoinMarketCap at some point, although it has been removed in the meantime. 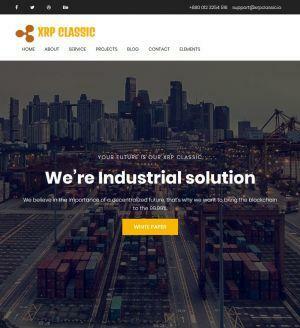 A screenshot of the XRP Classic website. So the solution for all the woes freelancers face is smart contracts, according to XRP Classic. Also, the people behind this project – who are unknown, as the website does not offer much information on their identities – claim that XRP Classic is an XRP fork. Another irony – XRP is notoriously difficult to fork. Another funny quote that can be found on the website is, “inappropriate behavior is often laughed off as ‘boys will be boys,’ women face higher conduct women face higher conduct.” So XRP Classic is presumably fighting against sexual harassment in the workplace as well. there is some fake people black mailer , they already send spam emails. What’s for sure, however, is that XRP Classic has carved itself a place in the competition for the worst scam or best trolling project (or something else) of 2019, and the year has not even fully kicked into gear yet. 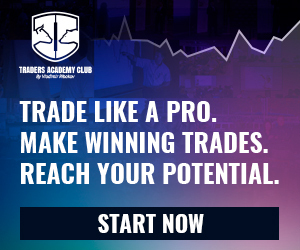 Meanwhile – do your own research before trading, and trust nobody.